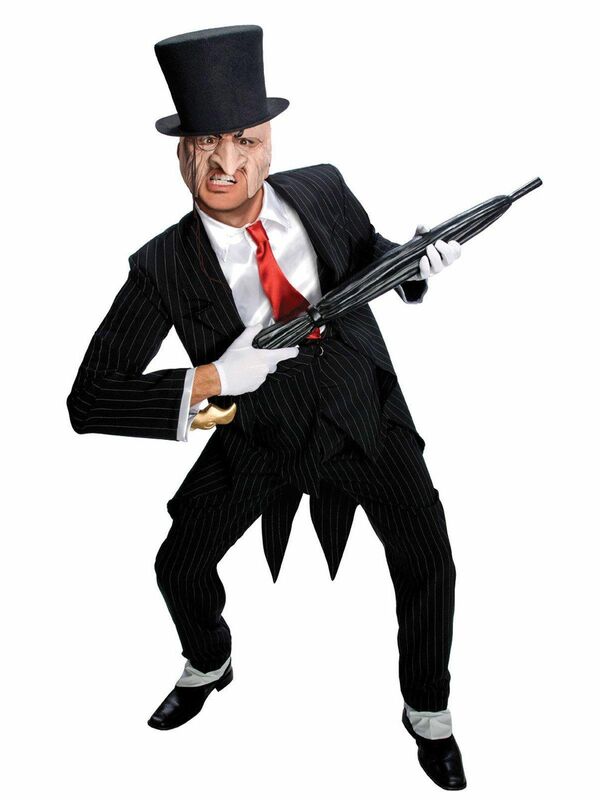 This costume includes a tailcoat with an attached vest, a shirt front with an attached tie, pants with attached spats, a character mask with an attached monocle, and a top hat. Does not include umbrella, gloves or shoes. This is an officially licensed DC Comics costume. Care Instruction: Hand wash in cold water, line dry, no bleach.